In Windows, ipconfig is a console application designed to run from the Windows command prompt. This utility allows you to get the IP address information of a Windows computer. It also allows some control over active TCP/IP connections. Ipconfig replaced the older winipcfg utility. 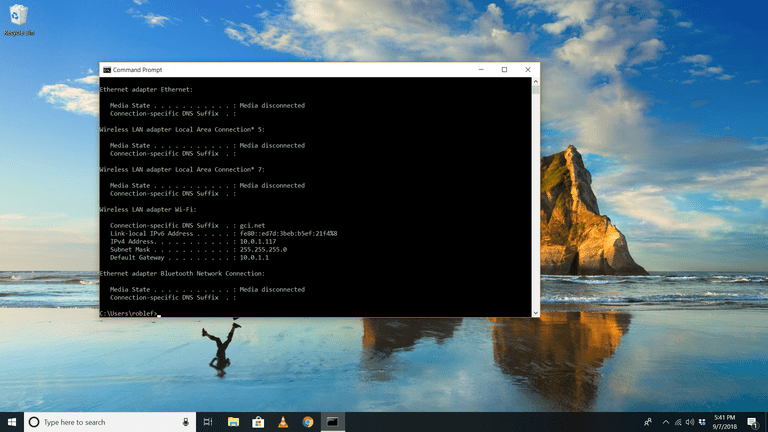 From the command prompt, type ipconfig to run the utility with default options. The output of the default command contains the IP address, network mask, and gateway for all physical and virtual network adapters. displays the set of available options. This option re-establishes TCP/IP connections on all network adapters. As with the release option, ipconfig /renew takes an optional connection name specifier. What Is My Default Gateway IP Address?